Wanko Workers' Comp Lawyers > blog > Work Injuries > What Rights Does an Injured Worker Have? No matter what kind of work injury you sustained, you have certain rights that cannot be breached after an accident. Know your rights before getting involved in a workers’ compensation claim to ensure the process is smooth. Many people don’t know this, but you can choose your doctor even through workers’ compensation. You can select your own physician right away, or you might have to wait 30 days after being treated by the physician your employer chooses. If you dispute any issue regarding your workers’ compensation, you have the right to file a dispute and obtain a hearing within 90 days. Additionally, if the situation is an emergency, you have the right to a hearing within 30 days. However, generally the only issues heard at an emergency hearing are those that pertain to the emergency. Any other issues will be heard at a traditional hearing. Your workers’ compensation benefits must be calculated based on your disability (not just your impairment) and your actual take-home pay. So, your gross pay cannot be used to calculate workers’ compensation benefits. If your injury renders you unable to return to gainful employment, you can be considered permanently disabled and receive total disability benefits for as long as you are unable to return to work. No matter who you are interacting with, be it a workers’ compensation case worker or an employer-chosen physician, you have the right to be treated with respect and dignity. If you experience a fundamental lack of disrespect during the course of your workers’ compensation case, let your attorney know. Above are just a few of the rights you have as an injured worker — there are many more. 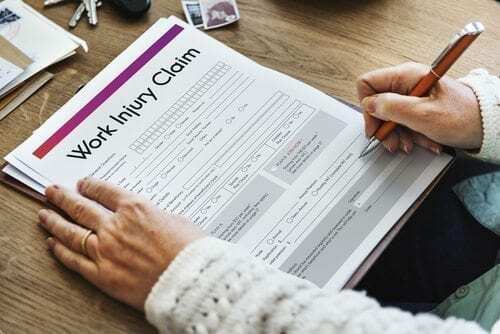 At the Wanko Law Firm, LLC, we can help you better understand your rights and can assist you in navigating through the often complex and frustrating workers’ comp system. Don’t wait to call an experienced work injury attorney if you are hurt on the job. Call today for a consultation at (985) 893-6530.